When Cooper Coghlan arrives in Ireland with the cremains of his grandfather, Finn Coghlan, he has one instruction: Let my ashes blow in the wind. You’ll know the place when you come to it. I’ll be there, telling you. He also has tender memories of his grandfather’s exaggerated stories of Irish wonder and magic— stories of leprechauns and legends and the mysterious power of fate. But he does not have the story of why his grandfather left Ireland as a young man. Mesmerized by his romantic vision of Ireland, Cooper begins his search with the unknowing help of friends in America who have employed a charming, down on- his-luck Irish actor named Sandy McAfee to con his way into Cooper’s life as his guide. Yet neither is prepared for the presence of Kathleen O’Reilly, a public relations specialist whose tour on behalf of the NewTree campaign is eerily parallel to the travels that Sandy plots in leading Cooper on his hunt for his grandfather’s ghost. And in those landmarks—Waterford, Youghal, Cork, Killarney, the Ring of Kerry, Tralee, Kenmare, Dingle—the fate of the Irish that Finn Coghlan talked of magically brings Cooper and Kathleen together. Yet, there is a truth between the two of them that not even the enchanting tale of Finn McCool and Sally Cavanaugh, or of Patrick the Believer, can resolve. 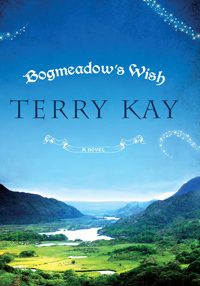 For that, Cooper must use the one gift bestowed on him as a child by his grandfather —Bogmeadow’s wish.